The 2018-2019 season has not gone as planned for the Phoenix Suns. Once again, they will be looking to find help for the organization in this offseason. Many felt that the Phoenix Suns would be a lot better this season. When the season started, many thought they could win anywhere from 25 to 30 games. With only nine games remaining, the Suns are 17-56 and could have a 20-percent chance of winning the No. 1 pick in the NBA Draft. Of course, the Suns could try to lure free agents D'Angelo Russell, Emmanuel Mudiay, Malcolm Brogdon, or someone else to address the point guard situation. Even then, the goal should be to add players to help improve the organization. The craziness that is March Madness has begun and college players are making statements while rising their draft stock. While the field of 64 plays out there are two players the Suns are watching close at the top of the draft. Duke forward Zion Williamson and Murray State guard Ja Morant. Throughout the season, it has been a topic of discussion as to which player the Suns' should draft if they land the first pick in the draft. But the bigger question is, who would improve the Suns and make them better? 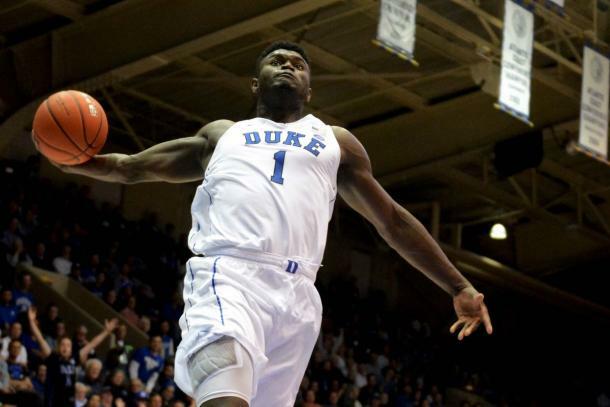 Zion has held the number one draft selection from the get go. He is considered to be a once in a life time prospect like LeBron James and Kevin Durant. Williamson has unmatched athleticism, is unstoppable once he gets to the rim, can handle the basketball like a guard, and moves exceptionally well for a player of his size. Williamson averaged 22.1 points, 8.9 rebounds and 2.1 assists in 29 regular season games. Williamson missed six regular season games after suffering a Grade 1 knee sprain 30 seconds into the game against North Carolina. The injury occurred when planted his foot while dribbling, and his shoe exploded beneath him. He would return in the ACC quarterfinals against Syracuse, scoring 29 points and grabbing 14 rebounds. Williamson was perfect form the field, hitting all 13 of his shots, marking the best shooting performance in school and tournament history, while tying the best in ACC history. Williamson joined Jahlil Okafor and Marvin Bagley III as the only Duke recipients to win ACC Player of the Year and ACC Rookie of the Year. Additionally, Williamson made the ACC All-Defensive and All-Freshman teams. The thought of Williamson with Devin Booker, Deandre Ayton and Kelly Oubre Jr. should excite fans. Ayton and Williamson would protect the inside while Booker and Oubre Jr. would watch the outside. With his mobility, he would be able to close out on defenders shooting from behind the arc. Offensively, he would be great on breakaways, can get to the rim on his own will, keeping drives alive or generating his own put-back points. Booker would be relieved as he would have Ourbe and Williamson generating point, thus taking pressure off him. Ayton would learn a thing or two from Williamson, as Ayton needs to be more aggressive inside the paint. Ja Morant soared up draft boards all season long. The sophomore point guard from South Carolina averaged 24.4 points, 10.2 assists and 5.7 rebounds per game. 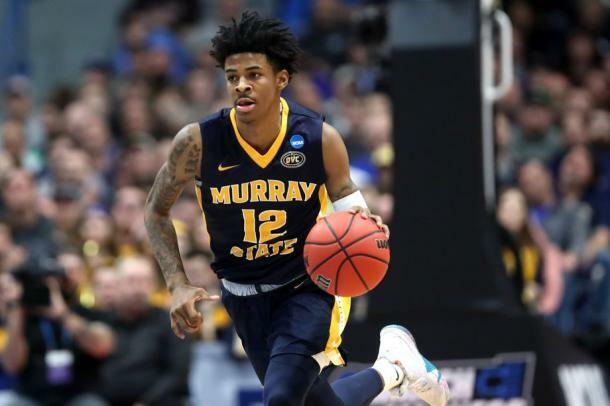 In Murray State's opening game of the NCAA Tournament, Morant recorded the first NCAA Tournament triple-double in seven years and just the ninth of the 32 years since the NCAA began keeping the stat as the Racers defeated No. 5 seed Marquette 83-64 to advance to the second round. Morant had 17 points, 16 assists and 11 rebounds in Murray State's winning effort. Morant was named OVC Player of the Year and first-team OVC. Morant also had triple-doubles against Morehead State and Missouri State. Devin Booker even mentioned that he had been keeping an eye on him. Morant would be a no-brainer for Phoenix. He would instantly be the best point guard on the roster. He has more athleticism and upside compared to rookies De'Anthony Melton and Elie Okobo. He would be able to learn the game from Tyler Johnson and Jimmer Fredette. With the addition of Morant, Booker would return to his old role as he wouldn't be relied to handle the ball as often. Morant would make his teammates better as he would create plays for them to get open and score. With time, Morant could develop into the Suns version of Russell Westbrook, Kyrie Irving and or Damian Lillard. 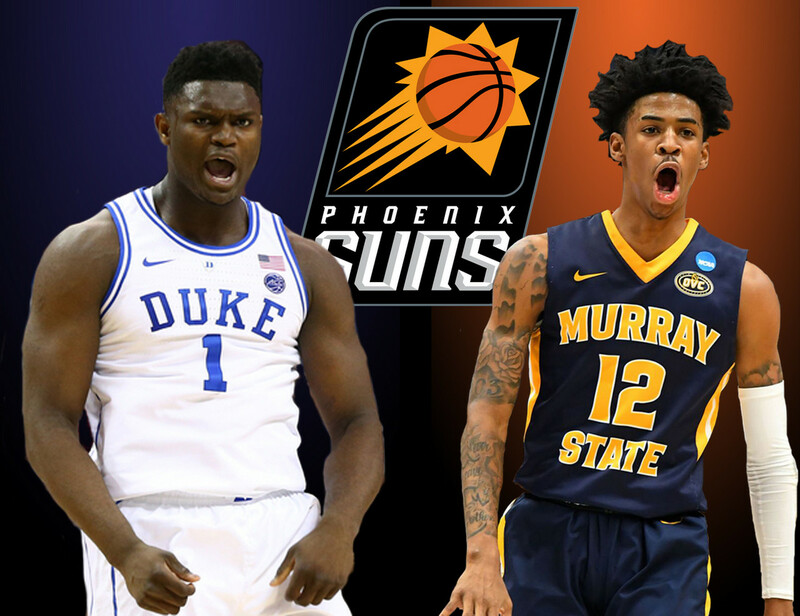 Imagine the next great Phoenix Suns team with the starting lineup that features Morant, Booker, Oubre and Ayton. That is a good core that would compete with the up-and-coming Dallas Mavericks and Sacramento Kings as well as the established Utah Jazz, Denver Nuggets, Oklahoma City Thunder and Houston Rockets. Bottom line is the Suns can't go wrong with either player. Both would come in and immediately improve the Suns from day one. Both have tremendous upside as well as potential to be special players in the league. Many drift to Zion because because of his ability for a guy with his size. He has earned the right to be labeled a once in a lifetime prospect and will be must see for any franchise fanbase. There are definitely areas where Zion can improve and may struggle going up against LeBron James, Kevin Durant, Giannis Antetokounmpo and Kawhi Leonard. Skeptics may bring up that point guards usually struggle in their first season in the league, but with Morant that may not be the case. There is so much talent on the Suns roster there might need be as much pressure on him to excel compared to everyone else. Of course, all of this depends on if the Suns land in the top-two of the NBA Draft lottery. One thing is for certain, the timeline is reaching the end of its completion for the Phoenix Suns.